I’ve been wanting to review a highlighter with a view window tip for ages. I picked up a 2 pack of the Sharpie version during the BTSS clearance for super cheap. 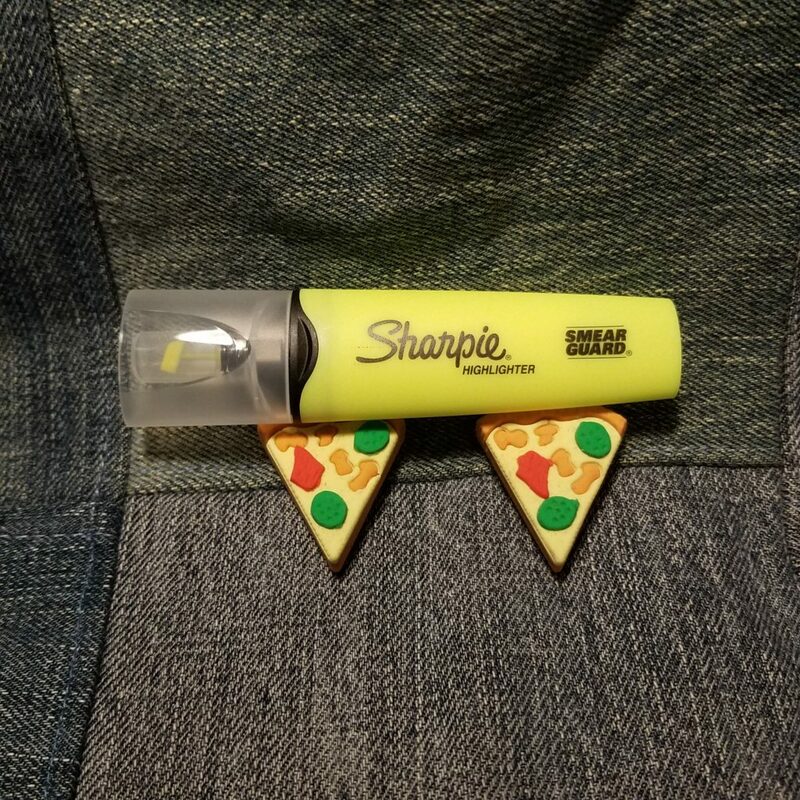 The highlighter is classic neon yellow, my least favorite of the highlighter colors, but a classic shade. The ink lays down wet and even. I hate it when they squish out a blob of oozy wet ink then dry out as I lay down a line. The chisel tip is just the right size to get a line of text in an average textbook or in my pocket notebook.. the tip can be flipped to achieve a narrow line. The tip does not mush down even with a heavy hand. To test this I gave one of the highlighters to my wife and she used it as she read cases for work. Usually, I don’t like to use a highlighter after shes touched one for more than an hour. Hers was perfectly usable after several days of use. Which brings me to another point, despite its diminutive size these things have a decent amount of longevity. My wife often burns through a highlighter or two PER week. This one lasted a week. So there is a decent amount of ink. The shape is flat and prevents rolling. They remind me of the Stabilo Boss highlighters in shape and size. It isn’t my favorite but it does the job well enough. 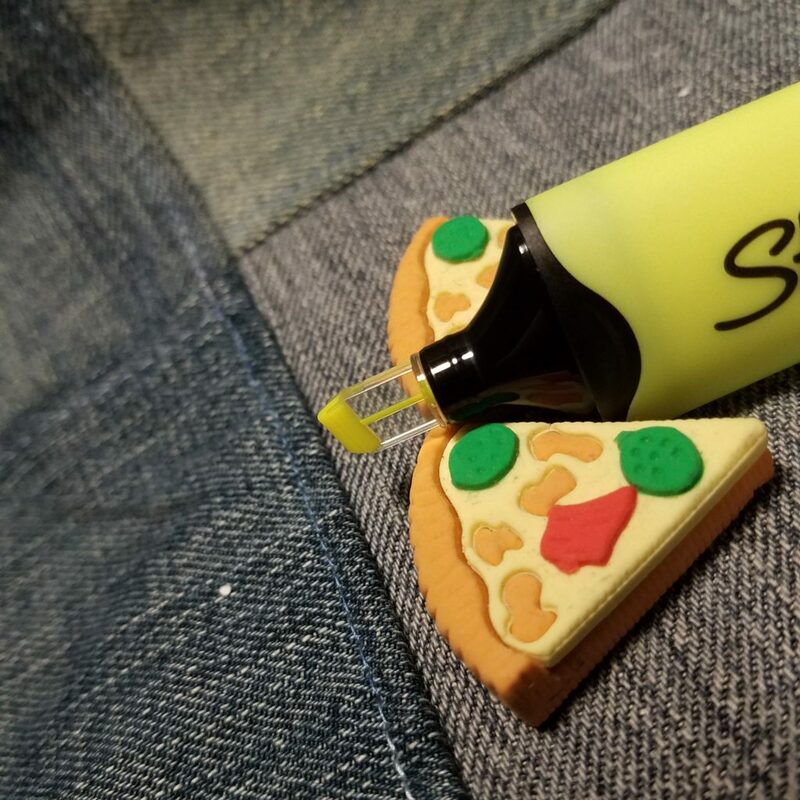 The cap is flaired and acts as a convenient pen stand so the pen doesn’t dry out in use. The pen is dry out resistant. I left it uncapped for about an hour and it was fine. This also means that if you lose the cap or toss it into your bag uncapped it’s going to make a huge mess. The tip does allow me to see what I’m highlighting and I really do like it, though these are kinda silly. The see-through tip feels like a gimmick to me and unnecessary. But the tip does hold up much better than other highlighter tips. It doesn’t mash or bend, and I like how usable the tip remained even after heavy use. That the tip is made of mostly plastic with a firm but smooth tip seems to make a great deal of difference of the longevity of the highlighter. 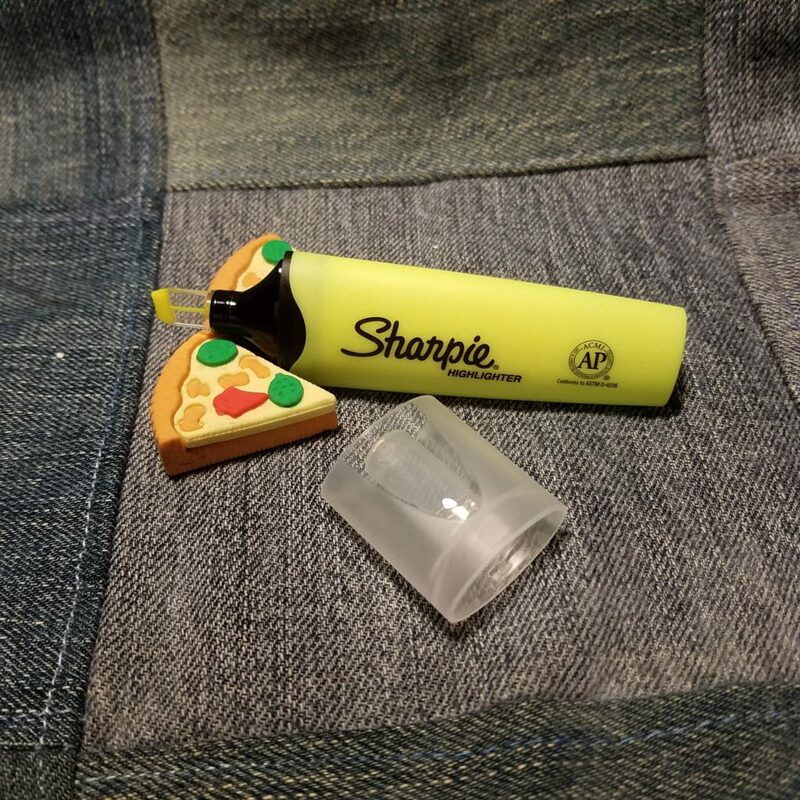 Overall, I love these, but not for the see-through nature of the tip, rather for the longevity of the tip, which is a byproduct of the see-through plastic. 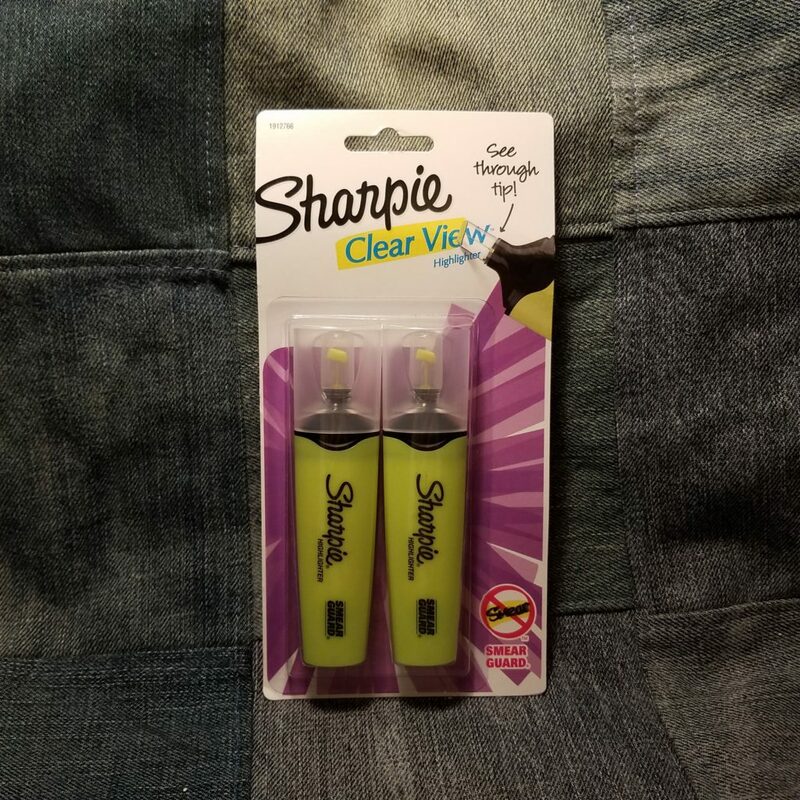 This entry was posted in Review and tagged clear view, highlighter, sharpie on 20181120 by leslie.